In a recent interview (here and here) with Edward Tufte by Dan Nadel (I.D. Magazine, November 2003), I was surprised to read Tufte saying that he discovered how "horrifying" PowerPoint was while doing a Google search for people who were teaching his work. In other words, he recognized PowerPoint as evil when he saw his own work projected through its lens  and worse still, that it was "contrary to my work on analytical design." "And then the Columbia went down. I looked at the slides Boeing did during the flight, which indicated no danger from foam hitting the wing. NASA believed it, and we've seen what happened. Those were in PowerPoint. It's not that PowerPoint brought the Columbia down, but the method of presentation broke up the argument into tiny fragments..."
I am quoting here precisely because I want to suggest that PowerPoint was probably not a major contributor to the Columbia tragedy: it is pretty clear from the investigation and its final report that many people within NASA and Boeing thought the leaking foam was a (more) dangerous problem, and that the culture of NASA led to these voices being ignored. Later in the same interview, Tufte observes: "I wanted to get it out fast and have an effect..." In other words, oppportunity harkened. The sales of his little booklet are strong, leading him to make the amazing claim that his website has "really come alive. It's the only success story in e-commerce!" In other words, the opportunity was realized. Here's my question: Why is Tufte getting away with this well-executed publicity campaign, a stance that positions him as the discoverer of PowerPoint's evils? Almost everything said on this subject by Tufte was penned two years earlier, by Ian Parker, in an essay in The New Yorker entitled "Absolute Powerpoint: Can A Software Package Edit Our Thoughts" (May 28, 2001). [To be clear, there is NO suggestion of plagiarism in this criticism.] This was a major story in The New Yorker and an execellent piece of cultural criticism; it was widely discussed and received broad coverage in the media. Read the piece for yourself: it has more original thinking, and is, arguably, better written than Tufte's essay. It's all over the web, but this copy was posted by the physics department at Ohio State  clearly, there are places in America that started talking about PowerPoint before Edward Tufte surfaced on this topic. Finally, a question for design editors everywhere: When are we going to start publishing critical interviews in our design press? Certainly, there could have been much more probing questions for Edward Tufte. Journalists didn't let Al Gore get away with claiming credit for having started the internet, and in a similar fashion, Tufte shouldn't be allowed to get away with ridiculous statements like "It's the only success story in e-commerce! ", or, for that matter, asserting a kind of ownership of PowerPoint  especially when someone else had already (and recently) written the story. I suspect that Tufte's essay will have an inpact, and I hope it influences many to resist the spell of PowerPoint. Let's just not let him take all the credit. Though I agree with your characterization of Tufte as a shameless self-promoter (and his attempt to cash in on the Columbia disaster seems pretty offensive), you should know that he has been criticizing PowerPoint-style presentations for some time now -- see, for example, page 68 of Visual Explanations (published in 1997), In general, he takes issue with the low-density and evanescent nature of the standard projected presentation, whether it's on a computer screen, on slides, or hand-written onto transparency film. I'm sure that he sees the PowerPoint pamphlet as an extension of his original critique. Anyway, thanks a bunch for the site -- it has already become a daily habit. Considering how most of corporate america used PowerPoint maybe it is not a bad thing that it presents information with a extremely high noise quotient. The less the corporate message gets out the better, although often times this message is fluffed up keywords and slogans. So much so that there is no message at all. Maybe that is why Powerpoint is so popular beyond the fact that there is little other choices besides bullets in microsoft word. Could powerpoint be the ultimate trojan horse of culture jamming? Go Bill! I wonder if Tufte's comment about being the only success story in e-commerce is a bit of winking hyperbole, not entirely out of character for someone with an entrepreneurial bent. The call for more critical design journalism is a much more important point. It's easy enough to find both glowing reviews and sharp critiques of particular projects or bodies of work, but it's much harder to find writing about design that calls for accountability in our work or statements. If it's a matter or good professional practice to be honest and accurate when dealing with our clients, it would be valid for design writing to assess whether or not treat each other and the public at large with the same respect. Maybe the interviewer didn't know about the Parker article. I sure didn't. I don't read The New Yorker and I don't know anyone who does (at least they haven't told me). Tufte has a much broader, diverse audience of parochial interest, so of course he can get away with appearing novel. Anyhow, yeah, I agree. For a strong, healthy design discourse, journalists, writers, designers, teachers, students, etc., have to be better read in other areas of the marketplace, and not fawn over people to namedrop. I certainly agree with holding people like Edward Tufte, Jakob Nielsen and the like to critical scrutiny (not necessarily negative). But to quote Juvénal: Sed quis custodiet ipsos custodes? Al Gore never claimed he invented the Internet. He claimed he led legislative efforts to turn the Internet from a defense/educational research project to a mainstream commercial enterprise. The claim was distorted in a media frenzy that has never been corrected by the mass-media outlets that propagated it in the first place. and http://www.kings.edu/twsawyer/y2kelect/honest-al.html for more examples of journalistic sloppiness. Thanks again for part II of ‘As The Tufte’s World Turns’. May I make a suggestion? I love the premise of your web site, but please consider re-designing your layout (look and feel) – the all gray background with reverse text is hard on the eyes. (Granted I can click on the ‘User Mode’ selection of my Opera browser but that turns everything into a sterile layout. ) Click here for an alternative solution to your site. My two cents. Thanks. I have to agree with Fazal Majid that Al Gore's comments about the internet were distorted by the media. I stand corrected. I'm going to let my comment about Tufte stand nonetheless: that the design and Wired media has let Tufte get away with seeming to be the one who discovered the evils of PowerPoint. For another comment on this post, see Beth Mazur post on IDBlog: http://www.idblog.org/archives/000383.html. For another serious critique of Edward Tufte, please see Donald Norman's note on Kottke.org. Tufte has a reputation for only contributing and particpating on his own terms. To hear this critique made by someone of Donald Norman's standing is refreshing. To add to William D. note: Read Donald Norman's comments on Tufte and PowerPoint at http://www.sociablemedia.com/articles_norman.htm. 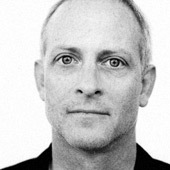 William Drenttel is a designer and publisher, and editorial director of Design Observer. He is a partner at Winterhouse, a design consultancy focused on social change, online media and educational institutions, and a senior faculty fellow at the Yale School of Management. The original program description for the Winterhouse Institute symposium at Yale University in New Haven, Connecticut, August 2013 on social design in education. The Winterhouse Third Symposium on Design Education and Social Changeis being held August 19-21, 2012 in New Haven, Connecticut. Designing for Social Change is a toolkit of strategies, case studies, and stories, offering new opportunities for approaching social design in our communities. This symposium, sponsored by the Winterhouse Institute, was held October 17-19 2010 in Falls Village, Connecticut. This was the initial information shared with participants. The Winterhouse Second Symposium on Design Education and Social Change, was held August 14-16, 2011 in Falls Village, Connecticut.